This two-day session brings together presenters, farmers, and industry personnel that are passionate about raising the bar in farming. Join us on Tuesday, July 23rd and Wednesday, July 24th as we focus on fielding a championship team and what you can do to ensure a win. This packed two-day event strives to give you hands on and applicable knowledge. 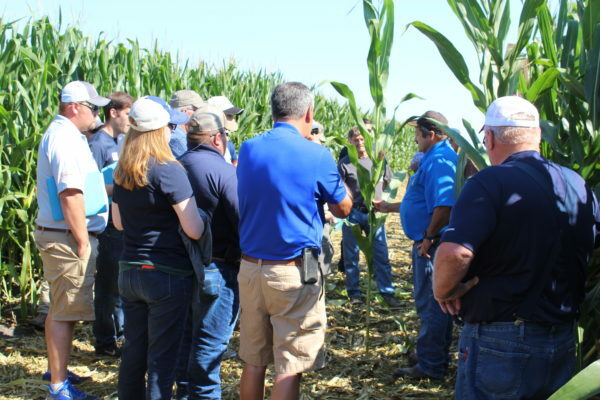 This two day event will cover both corn and soybeans and will have classroom sessions and outdoor hands on sessions. For the event, we will be applying for continued education credits (CEUs) for those that need them for the Certified Crop Adviser program. Agenda is up on the website with details on sessions covered.